As a girl Therese was cautioned by her upper middle-class Jewish family against a career in the theater: she was after all “not in the least attractive.” Fortunately the young woman already had a mind of her own, and went on to become one of Germany’s most famous and beloved actresses. An artist of unwavering social and political commitment, Giehse enriched and helped shape the modern theater from the Weimar Republic until her death, almost without interruption. After seven years working in the provinces she landed a position in 1926 with the Munich Kammerspiele. 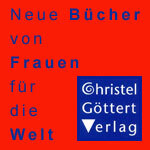 One of the many courageous political dramas performed there at the time was Cyankali, the play by physician and author Friedrich Wolf attacking the infamous Paragraph 218 (the German law criminalizing abortion). One of the most active performers at the Kammerspiele, Giehse was especially popular with Hitler and his Nazis, who often attended the theater in spite of its oppositional political character. 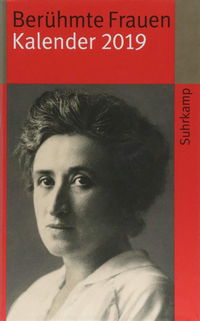 Their favorable opinion of her – “Finally a real German woman in this Jew-infested house!” – betrayed their ignorance of her Jewish background. Her admirers also included Thornton Wilder, Karl Kraus and Thomas Mann. Barely a month before the Nazi takeover Therese Giehse, Erika and Klaus Mann and the musician Magnus Henning founded the literary cabaret Die Pfeffermühle (The Pepper Grinder) in Munich. The cabaret, which agitated against the Nazis with an “indirectly political” approach, soon had to leave Germany, and Giehse fled to the Mann family in Switzerland on 13 March 1933. Until 1937 she toured across Europe with the Pfeffermühle, and on April 26, 1936 the internationally popular émigré(e) troupe celebrated its 1000th performance in Amsterdam. After a disappointing tour in America the group disbanded. Erika Mann’s attempt to bring the Pfeffermühle’s anti-fascist message to New York had fallen on deaf ears. After the Pfeffermühle had disbanded Giehse returned to the Zurich Schauspielhaus (Theater). From his exile in Finland Bert Brecht sent her his Mutter Courage in 1941 for its première performance. Her most important collaboration with Brecht began in 1948, and he called her to Berlin to work in his Berliner Ensemble in 1949. Here she also directed plays herself, as in Kleist’s Der Zerbrochene Krug (The Broken Jug). After 1952 she returned to the Munich Kammerspiele; she was friends with the author and dramatist Marieluise Fleisser and played the main role in Fleisser’s comedy Der starke Stamm (The Mighty Clan) in 1950. 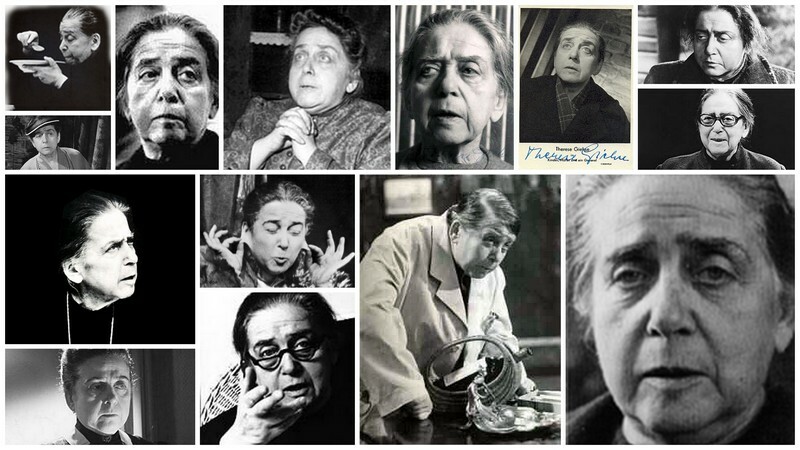 During the 1950’s and 60’s Giehse performed the great female roles of Swiss dramatist Friedrich Dürrenmatt and made them famous; she appeared in films such as Mädchen in Uniform and Kinder, Mütter und ein General and on television. She was active and engaged to the end of her life, always open to new ideas, especially to the efforts of a younger generation in the theater (Peter Stein, Martin Sperr, Franz Xaver Kroetz). Therese Giehse died unexpectedly of kidney failure following an eye operation. For sources and links see the German version! Directing isn’t just a male thing….Women are often much more gifted at it than men. They see things better, have bolder eyes, look more closely….With a woman director everybody works only half as hard and with ridiculously exaggerated reluctance and indignation. So you do have to be very robust and steadfast to put up with so much narrow-minded stupidity.